Deciding where to start with implementing new standards can be overwhelming. 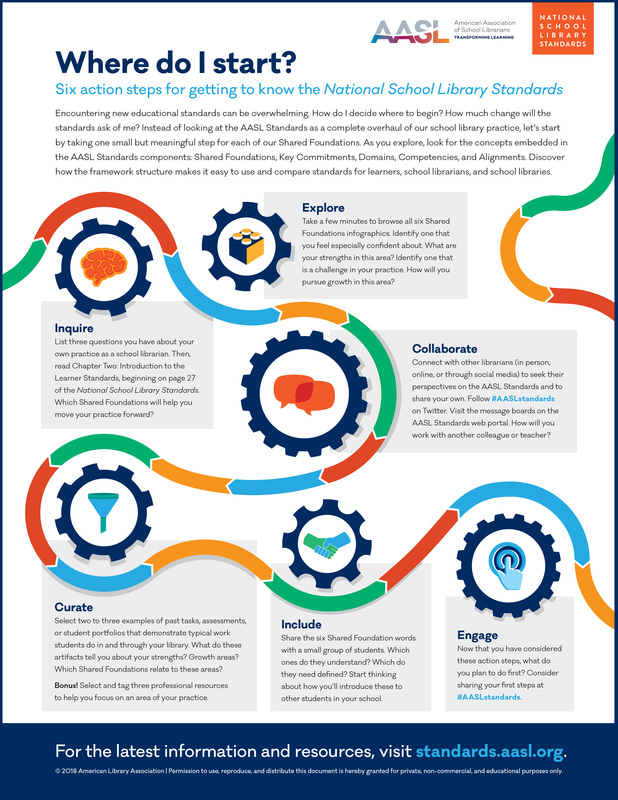 This infographic walks you through six action steps for getting to know the National School Library Standards. Start by taking one small but meaningful step for each of the six Shared Foundations. As you explore, look for the concepts embedded in the AASL Standards components: Shared Foundations, Key Commitments, Domains, Competencies, and Alignments. Find other resources to help you get started working with the standards in your practice!